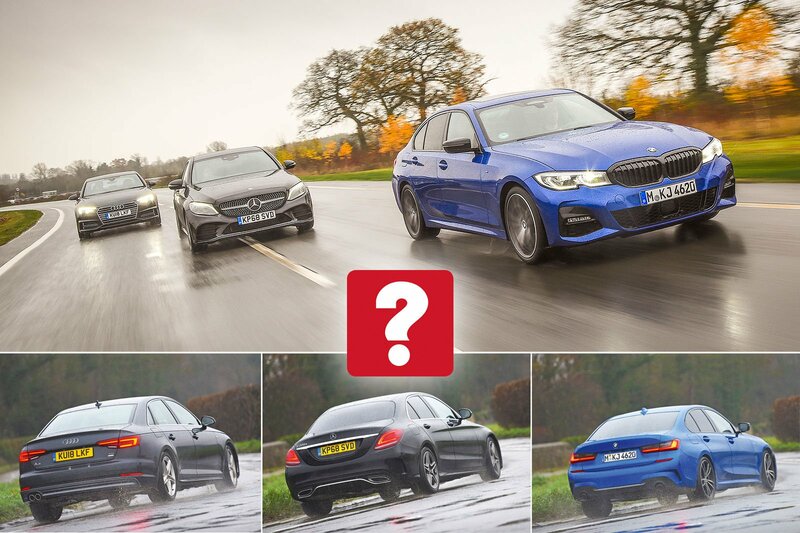 Subtly tweaked version of our 2016 Car of the Year and long-term favourite executive car. All-new 3 Series faces its first inquisition with a diesel engine and in M Sport trim. 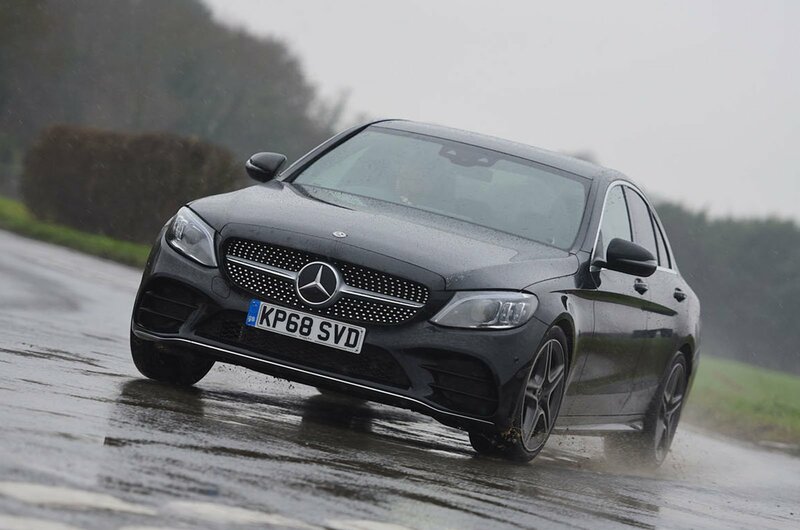 Facelifted C-Class is the recipient of some notable upgrades. These cars don’t require some long-winded introduction, do they? Surely they’re as familiar as Cheddar cheese yet, thanks to bags of badge cachet, still as desirable as a ripe and creamy Camembert. But each has recently been updated, so let’s take a look at what’s new. Everything, in the case of the BMW 3 Series. This latest model is bigger than its predecessor and comes with more tech, including a new version of the brand’s iDrive infotainment system. Plus, BMW promises that this is the sportiest executive saloon you can buy. The changes to the Mercedes-Benz C-Class are more subtle; this is a facelift of the car that arrived in 2013. Like the 3 Series, it has a new infotainment system, plus a more refined and efficient engine. The Audi A4 has received some badge engineering. Like the others, it’s a 2.0-litre diesel, but instead of it being labelled so, Audi has taken a more esoteric approach; now it’s the 40 TDI. But other than that and some engine software tweaks, it’s essentially the same car that won our Car of the Year Award in 2016. Take a look at the acceleration figures and you’ll see that the A4 is the slowest from 0-60mph, but that’s partly because the heavens opened on our test day. As the only front-wheel-drive car (the others have rear-wheel drive, which gives better traction), it lost ground in an initial flurry of wheelspin. Still, even away from the test track, the fact that the 3 Series and C-Class launched much less dramatically is worth bearing in mind in case you find yourself looking to make a swift getaway at a junction to slot into a gap in traffic. 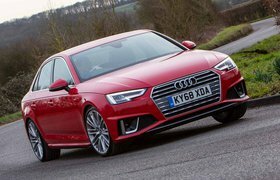 Another reason why the A4 is trickier to get off the line is Audi’s seven-speed dual-clutch automatic gearbox, which engages drive more aggressively than its rivals’ traditional auto ’boxes (BMW’s has eight speeds and Mercedes’ has nine). You don’t have to be going hell for leather to notice this, either; even in slow-moving traffic or when nudging back and forth into a parking spot, the 3 Series and C-Class are far less jerky. The problem with the 3 Series is that you can feel it lurch slightly as it goes into first gear just before coming to a halt. This exacerbates another issue: the brake pedal has little resistance at the top of its travel, so, on top of the gearbox adding unexpected engine braking, it’s too easy to press unwittingly hard, resulting in an overly abrupt stop. It’s therefore the C-Class that’s easiest to drive smoothly at slow speeds. From around 30mph onwards, however, there’s next to nothing between these cars, with each engine providing prodigious mid-range welly that you can exploit to make effortless progress. The A4 and 3 Series are the more hushed motorway cruisers, generating less wind and road noise than the C-Class. In addition, the A4’s engine is the most refined, being as smooth as four-cylinder diesel units get. However, while the 3 Series’ is a mite grumblier and the C-Class’s noticeably the most clattery, you certainly wouldn’t call either undignified. On the other hand, some might find the 3 Series’ ride undignified at times, at least as tested here, on its lowered and stiffened M Sport suspension and optional 19in wheels. Over smaller surface imperfections, taken at any speed, it’s most likely to jostle you about, and if you hit something bigger and sharper, the knock-on through the seat can be pretty punitive. The good news is that you can swap M Sport suspension for a less aggressive set-up at no cost or add adaptive dampers as part of the £2200 M Sport Plus pack. We’ve tried the first option and it does temper the issue, but we’d still urge you to try before you buy. The other cars are also in their sportiest guises. The A4 displays all the same traits as the 3 Series without being quite so abrupt, but we reckon most will find the C-Class comfiest over the majority of roads, because it’s just that bit softer. However, the trade-off is the odd loud twang when you hit a particularly nasty pothole and more bounce and rocking from side to side over bigger bumps. You can improve the A4 slightly by choosing Comfort Dynamic suspension at no cost or make its ride really rather polished with adaptive dampers (£600), while the C-Class is available with air suspension (£895). This is more cushioning, but we’d say that the standard set-up is good enough not to warrant the added expense. 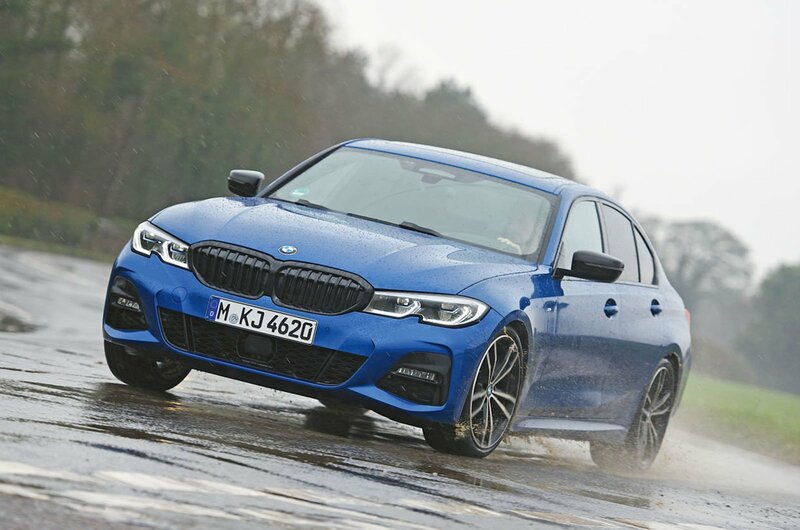 It’s the hunkered-down 3 Series that’s most rewarding if you enjoy a spirited drive, thanks to quick but progressively weighted steering and tight-as-a-drum body control. It’s so well controlled, in fact, that it will sail along craggy and undulating roads like the Cutty Sark through rough seas, with confidence-inspiring grip and balance the likes of which BMW hasn’t achieved in a while. 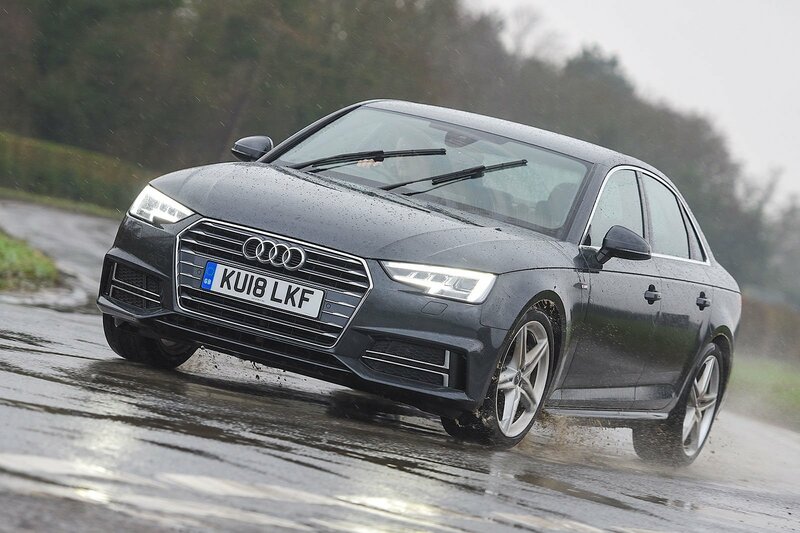 After the frolicsome rear-wheel-drive 3 Series, the front-wheel-drive A4 is less involving. Sure, it grips well and can carry almost as much speed through any given corner, but it’s not as satisfying. Neither is the C-Class. It’s perfectly capable, but its steering is the least consistent of the three. Factor in the most body lean, making it the least keen to change direction, and you find yourself adopting a more leisurely pace.